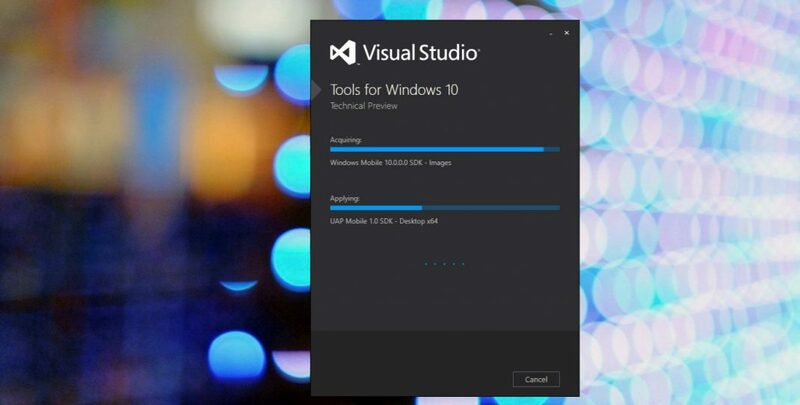 Visual Studio Preview 15.2 (26412.01 – Preview) is now available for download. The latest update brings new feature and improvements. The update has added side-by-side support for TypeScript compiler versions. Also, Data science and analytical applications workload have been added. The Data science and analytical applications workload provides a one-click install of all your data analysis needs. It includes support for Python, R, F#, and their respective packages/distros to enable acquisition, analysis, and visualization of data all the way through to building and deploying machine learning models. Customers see an error of “Team Foundation Error\n\nNon-space character detected within the skipped tab prefix.\nParameter name: tabSize” when viewing Git history. Error of “non-space character detected within the skipped tab prefix” when using Git Blame. Git Commands don’t work when folder name has special characters. Git Compare with Unmodified not working. Error message of “Substring must begin at a code-point boundry.” when running View History on a Git branch. Customers need to enter passwords multiple times. When installing Visual Studio 2017 using the command line you can pass --cache to enable the caching policy (default) for the install and subsequent install, modify, and repair operations; or you can pass --nocache to disable the policy which will prevent packages from being cached and remove any packages already cached for the current instance. The policy can also be changed through the registry and group policy. See our setup blog for more information. Ability to Go to Definition when clicking in the tooltip. Mutable values colorized, and other semantic colorization improvements. Move Up/Move Down on Solution folder nodes. Intelligent ordering in Completion lists. The Python development workload is now localized in all supported Visual Studio language packs. Side-by-side support for TypeScript compiler versions. You can now change the location of where packages are cached or even disable caching of packages during install, modify, or repair. CMake integration now supports CMake 3.7.2. This updated CMake menu is based on your feedback. Linux C++ now enables improved type visualization during debugging. Fixed issue where Visual Studio 2017 may not launch when installed alongside Visual Studio 2005 or earlier. The Game Development with Unity workload now offers to install Unity 5.6. A debugger crash in C++ code that uses the typeid operator is now fixed. Customers using website projects would see crashes when right clicking in the solution explorer that are now fixed. A crash when using the HTML editor in .Net core web projects.